Call now for more information about options for your swimming pool. If you are thinking about installing a new pool, here are a few things to to consider as you interview swimming pool contractors. A swimming pool is one of the most valuable assets in a home. Beautiful swimming pools don’t have to come at a premium. McMillion Pool Co. offers reasonably priced swimming pool design choices. POOL CONSTRUCTION TYPE # 2 - Vinyl Liner Pool. McMillion Pool Company will assist you as you explore your choices with regard to the overall design and features of your new pool. Also, we will respect your budget by examining the long term maintenance costs related to each choice that you make. We believe that whether you would like a very basic design or a more elaborate swimming pool, you can enjoy a backyard paradise for a reasonable up front cost. There are a number of options to consider as you evaluate how you wish to experience your backyard entertainment area. Even the most basic swimming pool project will involve many choices that could enhance the look and feel of your swimming pool. To begin learning about our swimming pool design options, you can view examples of pool art and design that span from very basic to the more elaborate. See our Pool Photo Galleries for a display of Hydrazzo, fiberglass and vinyl swimming pools. To find information on specific pool pricing and receive a formal proposal, contact us today to discuss your back yard paradise. Thank you for considering McMillion Pool Company as a potential pool builder for your project. The BBB encourages you to check with the appropriate agency to be certain requirements are currently being met. Board of Licensing Contractors state ID contracors license number 6586 has been issued by Tennessee State Board of Licensing Contractors. Installation: Vinyl pools can take up to a year to install, depending on the complexity of the project. 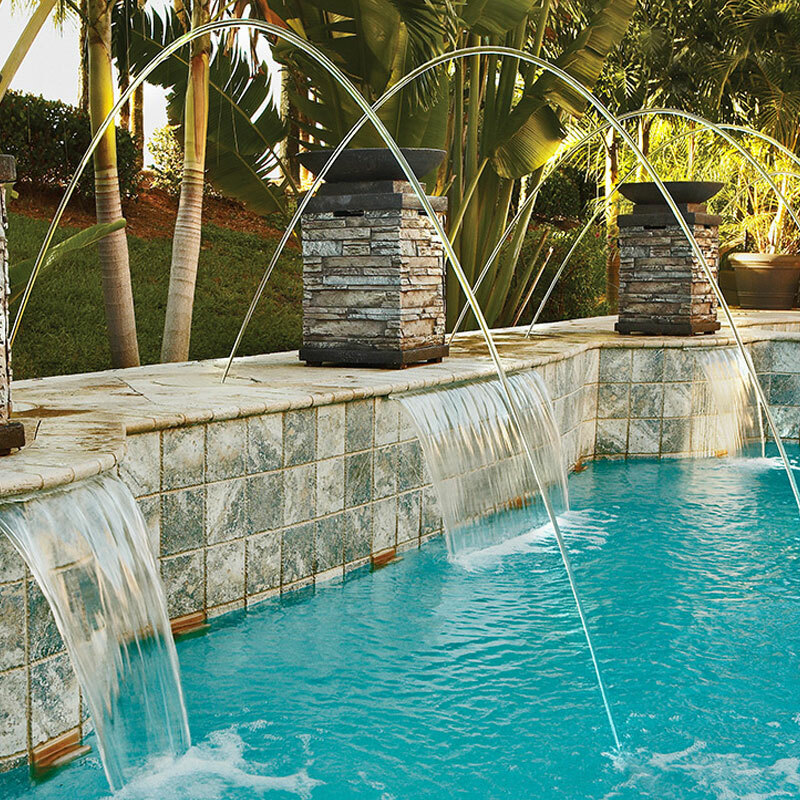 Beautiful: As seen in the above image, you can do amazing things with a vinyl swimming pool liner.